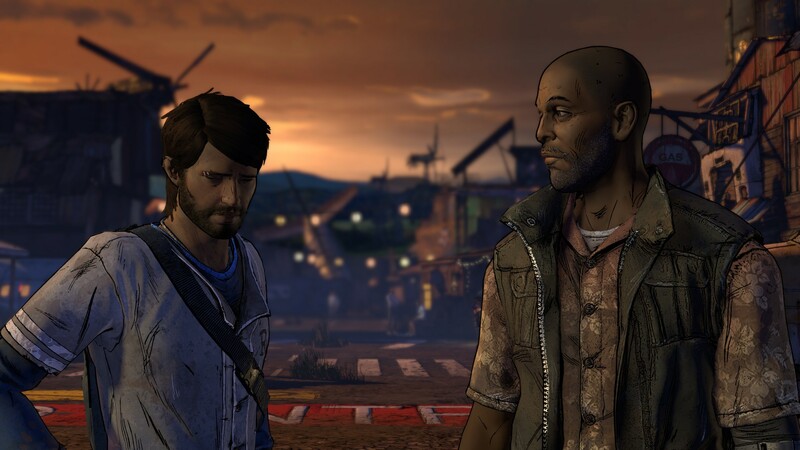 By now, after two complete seasons of The Walking Dead by Telltale, anyone jumping in knows what they’re getting into. Whether or not you have actually played the previous seasons, it’s pretty safe to assume things aren’t going to go well in this new season, taking into account the murderous nature of both the TV show and the long running comics from which this gigantic franchise have spawned from. Another thing that’s a given here is that we’d be seeing more of Clementine. Ever since her debut in season one, she’s become the literal poster child of the series, and even though A New Frontier does not start with her at the forefront, it should come as no surprise she’s introduced once again at some point. With that bit of housekeeping out of the way, we can get to the nitty gritty. A New Frontier opens up a short time after the zombie outbreak began, as Javi makes his way back to his family’s home, just as his bedridden father passes away. But corpses don’t tend to lie down without a fight in the world of The Walking Dead, and just as dad gets ready to chew on his family, we’re fast-forwarded to current times, with Javi driving his niece, nephew and their stepmom to a rest stop, in hope of finding supplies. From the outset, it’s quite clear that things aren’t going well for what’s left of the family: the little kids eventually grew into bickering teenagers and their stepmom shows no remorse in throwing affections towards Javi, who holds a certain amount of distance away in respect for his apparently deceased brother. Miserably for the thrown together band and in The Walking Dead fashion, things don’t get any better, and from push to shove, they end up bumping into an older and more battle-hardened Clementine, who unwittingly joins forces with them in the hopes of getting everyone to safety. But as with tradition, not all is at it seems, and Clem herself has her own secrets that she’s not at all willing to share with strangers. From there, things continue to escalate, with so much drama that Telltale had to break up the first episode into two chunks and release both at once at launch, a first for them. All in all, that split feels like it was the right move. While not very long length-wise, both episodes gave the characters plenty of time to develop their personalities and arcs, as well as the opportunity for us to reacquaint with Clementine, who sees plenty of development herself as she slowly grows to trust Javi, even after the tragic life she’s lived since season one. Having played and thoroughly enjoyed The Walking Dead since the very beginning, I’ve grown to cherish the character arch of Clementine and her grown as a character, from a naive little kid to the tough adolescent she’s become. Obviously there’s a lot of backstory we’ve missed since we last saw her, which explains the quick flashbacks that pop up during both episodes in which Clem is seen trying to make it out in the wilderness with a baby in tow, the child of deceased characters from season 2. 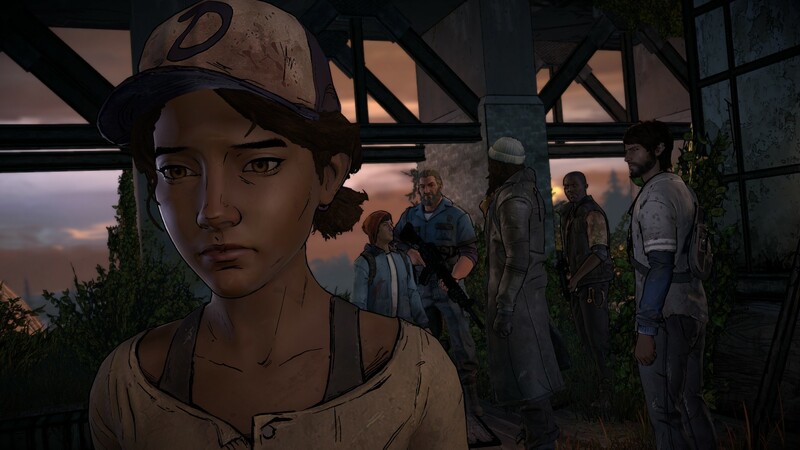 The flashback style of delivery is no stranger to Telltale’s take on The Walking Dead, but compared to the way it was done in The Walking Dead: Michonne, which made them more like hallucinations than factual look backs at that character’s memories, A New Frontier’s feel more solid and actually factor into the story being put together in the current time setting of the game, featuring decisions that play into the main narrative. 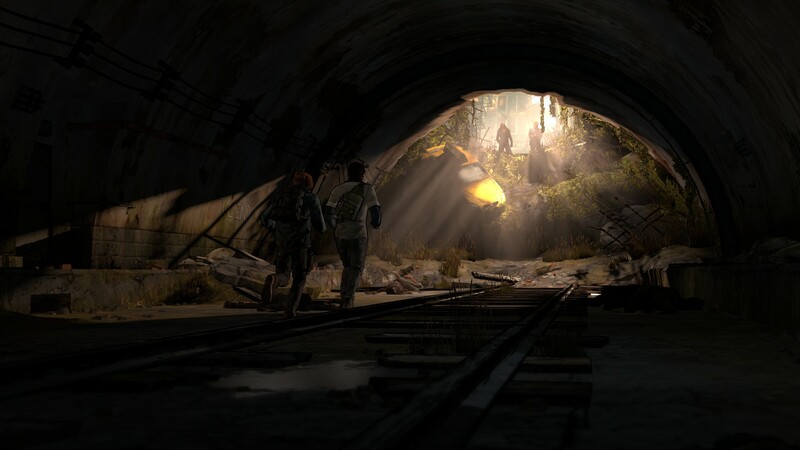 In terms of gameplay, this third season of The Walking Dead is pretty much like what Telltale’s been dishing out with Batman, Tales from the Borderlands, and Game of Thrones; that is, you have a limited range of motion at times, and can examine, talk to and pick up a few items, with the addition of some dialog here and there and plenty of quick-time action scenes. While nearly not as involved as Batman’s, A New Frontier’s prompts are still pretty intense, requiring a certain amount of reflex before a game over screen pops you back to try again. The choices so far feel pretty consequential. There are already a handful of particularly hairy situations that have potential to really split up the way individual playthroughs are bound to go. Even more so, depending on how your previous seasons have gone, Clementine’s persona is apparently supposed to be radically different, so it’s worth diving into the many hurdles required for you to import your save. In case you cannot, Telltale’s built-in generator tool basically sums up the key moments from both of the previous seasons so you can put together a recollection for season three. I did the former, but so far, I’ve yet to really see what that amounts to in A New Frontier. Still plenty of time to find out, I suppose. With three episodes still ahead of us, there’s no way to tell if this season will really shape up to be as good as the first one, but taking into account the brisk pacing and drama of the two part opener, it’s clear that Telltale is pulling no punches. If Ties That Bind is any indication, we’ve still got a long and painful road ahead of us.